The 350 Sundancer proves that Sea Ray is always pushing into new and rewarding territory. Four oversized hull windows contribute to enhanced interior visibility and ambient light. 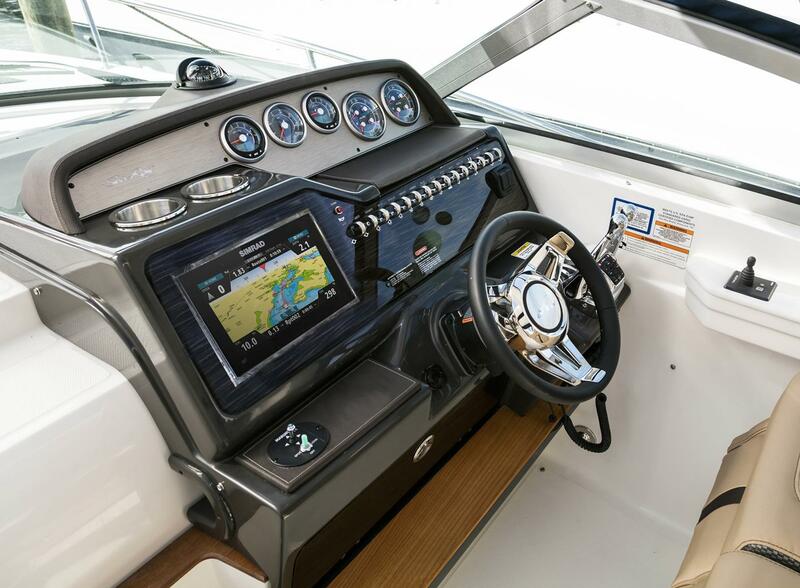 There is a clever aft-facing transom seat, optional cockpit barbecue and flatscreen TV, and an electrically adjustable forward berth. A plunging sheer line and contoured fiberglass sport spoiler are sure to grab attention wherever you go. Choose your preferred power from gas or diesel sterndrives, or gas inboards.